This is featuring Sarah, who is one of the most fashionable people I've had the pleasure of coming across. One of Sarah's greatest passions besides fashion, of course, is music. She explains that by music, suddenly, we find something that can relate to our problems and emotions to help us through them. Sarah also loves doing make up, influenced by her sister, who is a make up artist. Her tips on make up are practice, practice, practice. Practice makes perfect. Onto her outfit, we have a unique pair of open toed booties. She has on some great flowing wide leg pants and a long sleeve shirt, which matches her shoes very well. 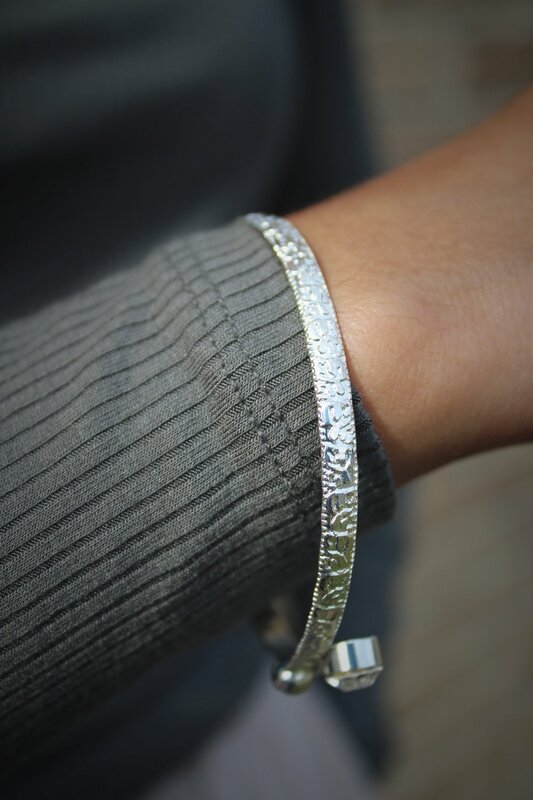 Sarah is rocking a white tote bag, and on her wrist we find a beautiful and bright bracelet. Her outfit is composed of many simple things; however, her beauty in simplicity truly stands out. Sarah teaches us today that a keen seen of fashion doesn't require a lot of flashy things to make it interesting.